NTGS beat Highland Park 2 – 0 as they picked up their second win of the season on Mar. 17. After winning their season opener on Mar. 15 versus Prospect, the Trevians looked to continue their success. The Trevians faced difficulties adjusting to the new team dynamic. “It was our second game of the year and we’re just getting comfortable playing together,” said senior forward and midfielder Nicole Kaspi. 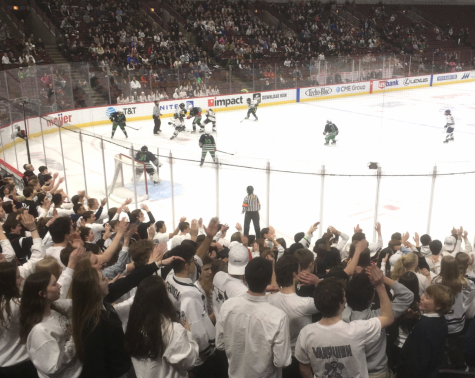 Nerves were also heightened as New Trier has not faced Highland Park in recent years. The victory was in large part due to their belief in themselves and their abilities. “We know we’re a good team and if we play to our strengths, we have a good chance in any game,” said Kaspi. 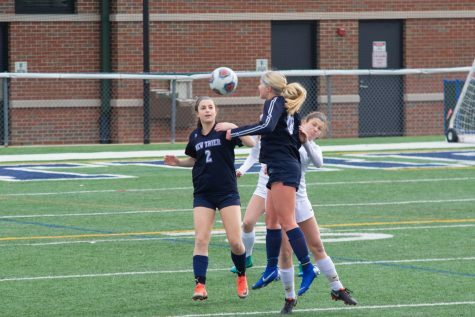 The nerves began to calm after sophomore midfielder and forward Emma Weaver scored the first goal of the game for the Trevians. “Before [the goal], we didn’t really know how the game was going to go, but once we got that goal we could get into a comfortable rhythm,” said junior forward Fallon Warshauer. This goal was hard earned as the Giants were able to contain the Trevian offense to only two goals. “Our greatest challenge in this game was creating good scoring opportunities,” said Kaspi. Junior forward Lily Frentzel was able to break through the Giants defense later in the game, doubling the Trevian’s lead. The goal solidified the Trevian command for the rest of the game.